There are a variety of Stainless Steel Plate sizes available for each meat grinder. 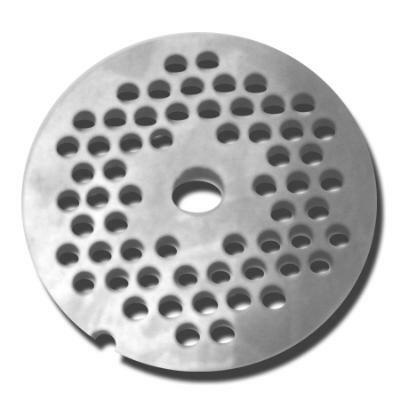 Each plate has a different hole diameter to fit any grinding needs. The #5 Stainless Steel Coarse Grinding Plates are recommended for grinding meat for coarse sausages, like summer sausages, salami, pepperoni, or snack sticks. These plates are compatible with many #5 series products. When replacing the plates, it is also a good idea to replace the knife for optimal performance.